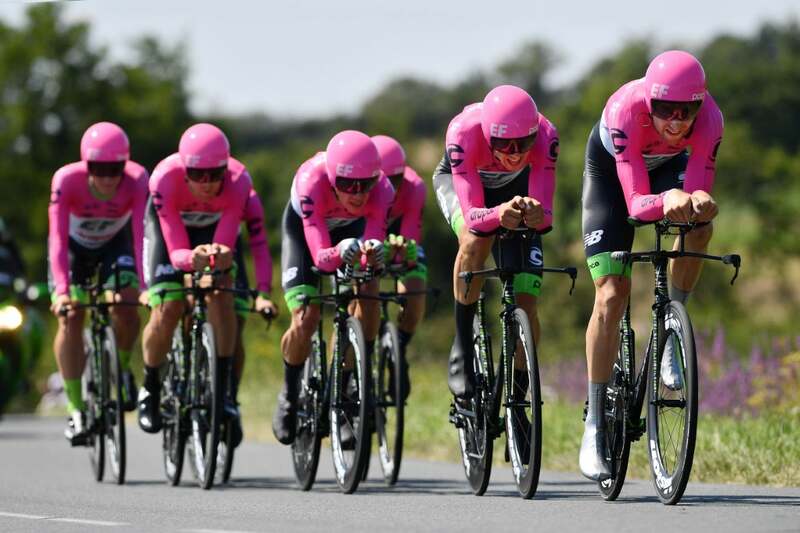 This is the Tour’s first major test: a 35-kilometer team time trial. 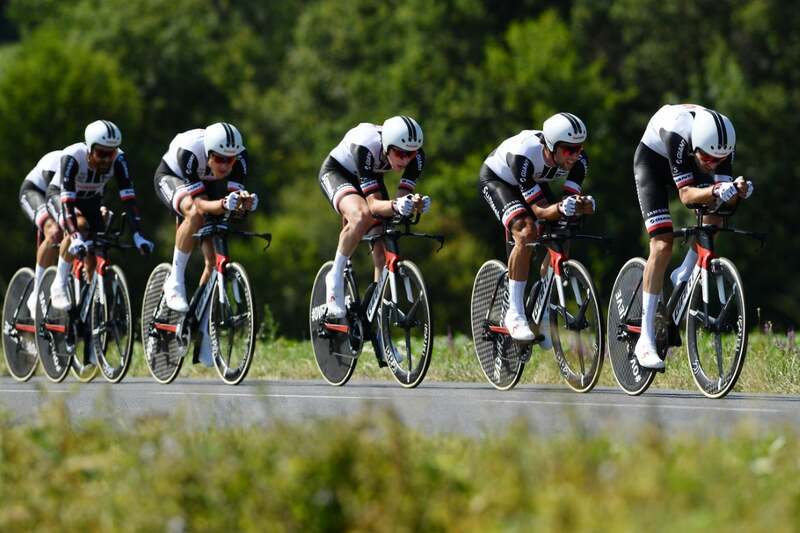 That’s seven kilometers longer than the one in 2015, which BMC Racing won. 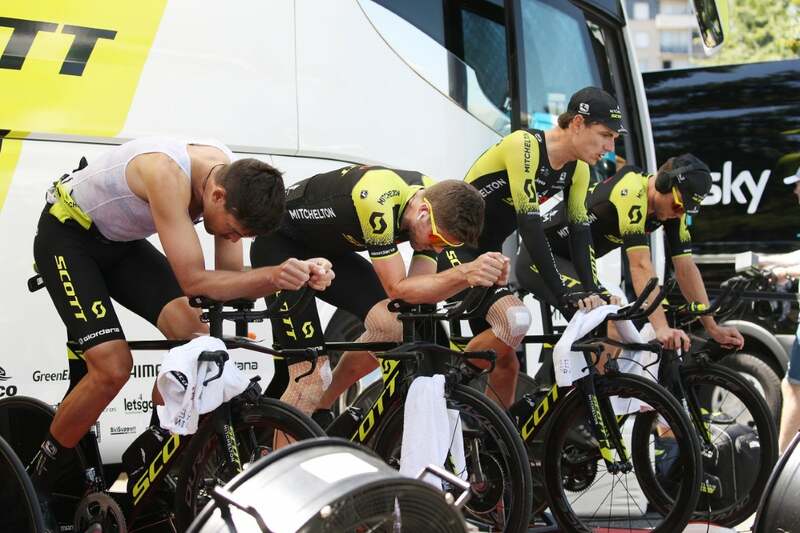 When planning this stage, ASO used the 29.5-kilometer individual time trial held in Cholet in 2008 as a guide. It’s a very technical course, demanding a number of changes of rhythm, with plenty of false-flats and descents. There’s also a steep climb 20 kilometers into the route that could disrupt each team’s pace-making. 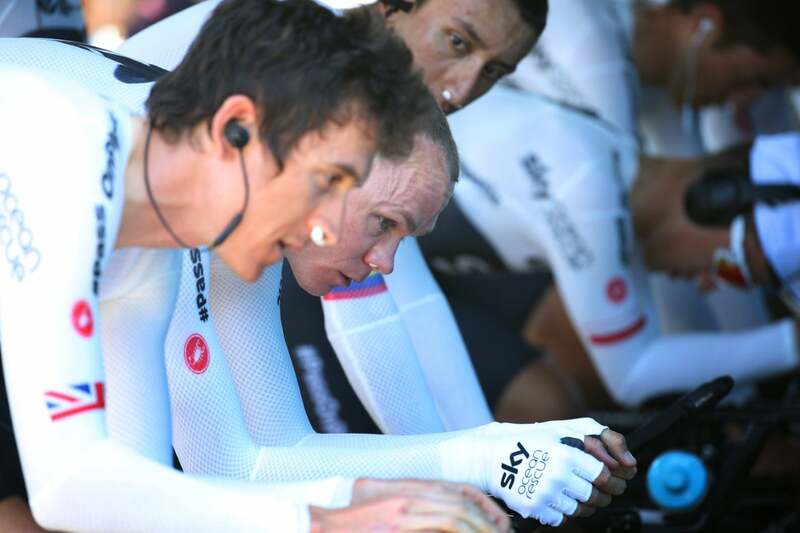 Victory will be contested by the teams featuring strong rouleurs, and will likely come down to a few seconds. Some of the favorites are sure to lose some time. 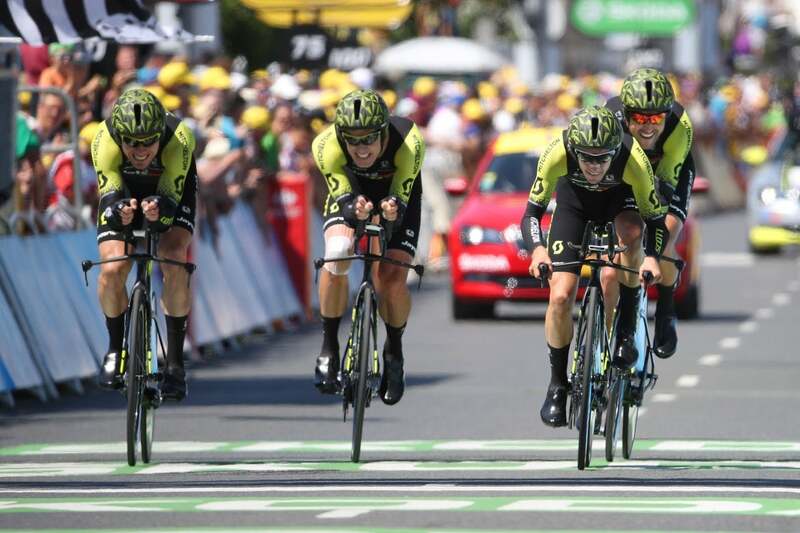 Backing up their reputation as masters of the team time trial discipline, BMC Racing won stage 3 of the Tour de France Monday, putting Olympic champion Greg Van Avermaet into the yellow jersey. 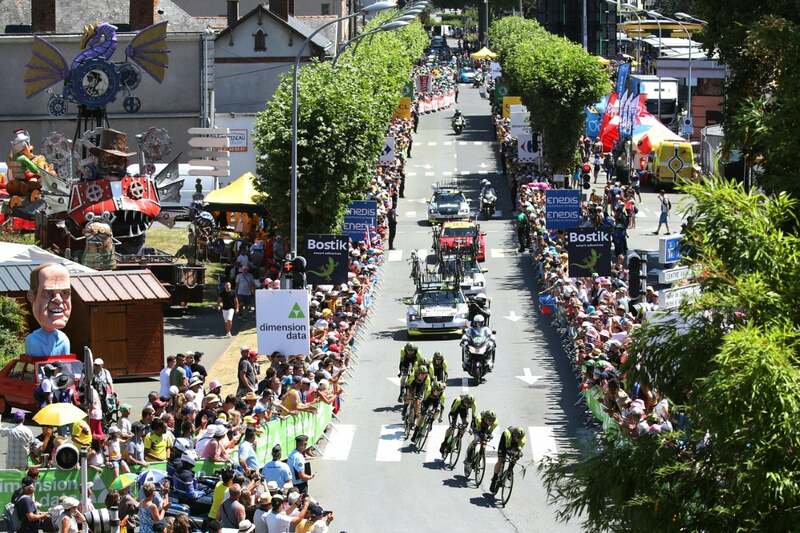 After winning Sunday’s sprint, Peter Sagan spent the day in yellow, but he was dropped by his Bora-Hansgrohe team midway through the 37.5km race around Cholet. 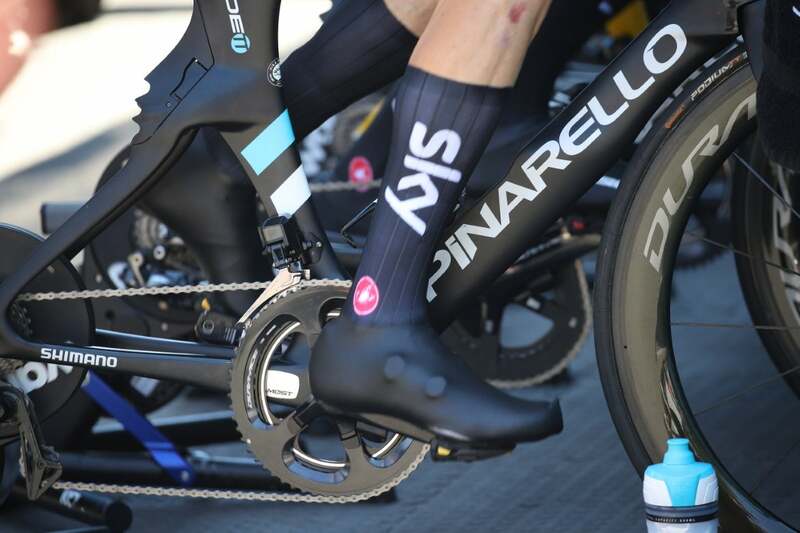 Team Sky finished second, and Quick-Step Floors was third on the stage. 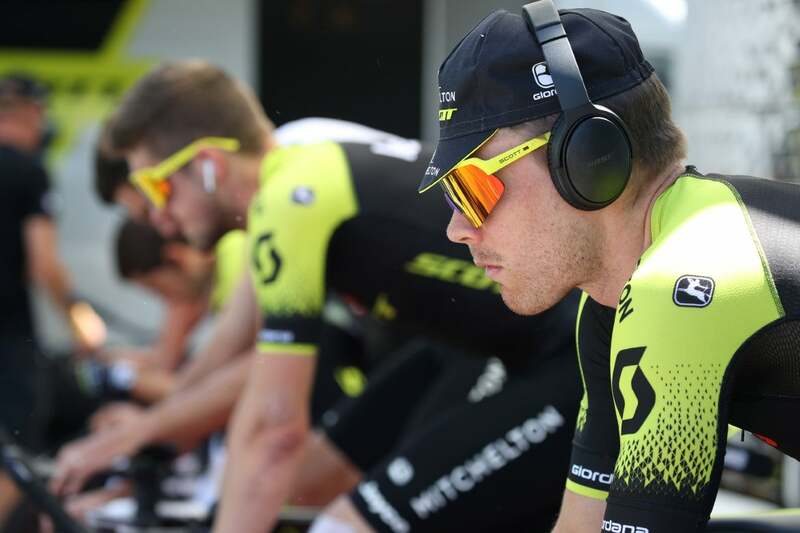 Mitchelton-Scott set a fast early time of 38:55. 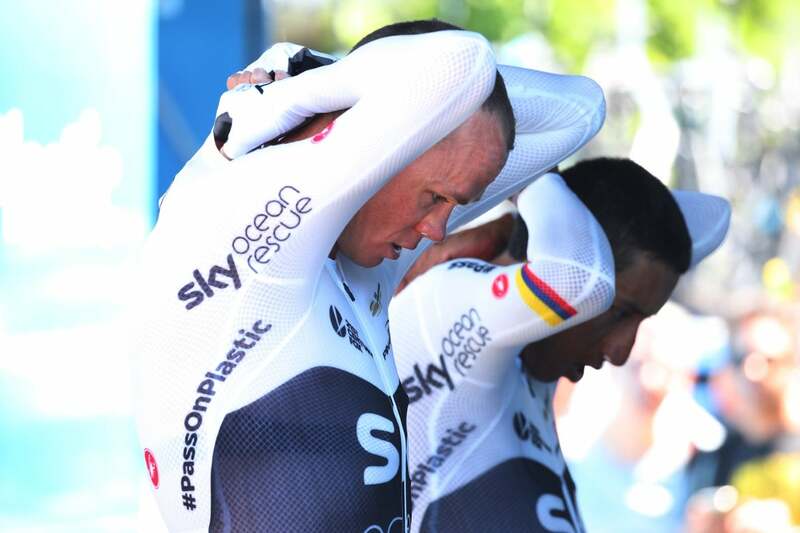 That mark was soon eclipsed by Chris Froome’s Team Sky, which was booed throughout the race by roadside fans. Sky stopped the clock five seconds faster. 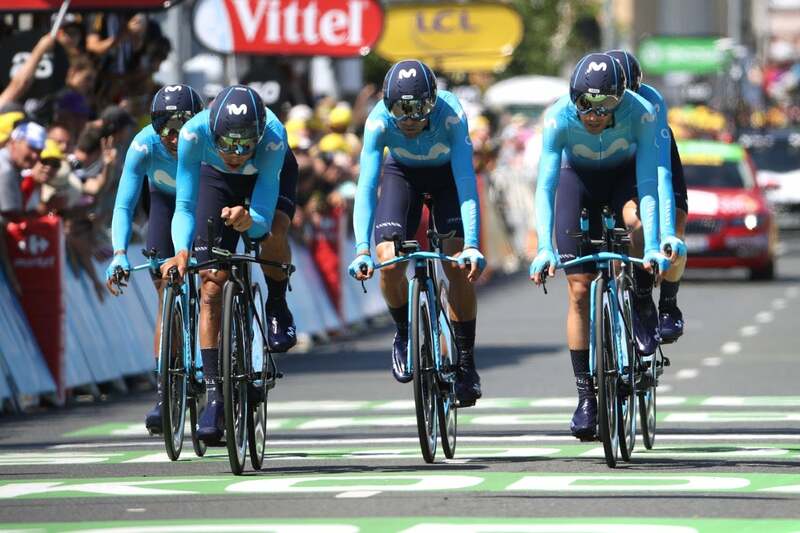 Nairo Quintana’s Movistar team was next through the finish chute, 50 seconds behind the British outfit. Meanwhile, BMC Racing was turning in fast intermediate splits on the rolling course. At the 27.5km checkpoint, BMC was about six seconds faster than Sky. The American team would eventually stop the clock four seconds faster than Sky, at 38:46. 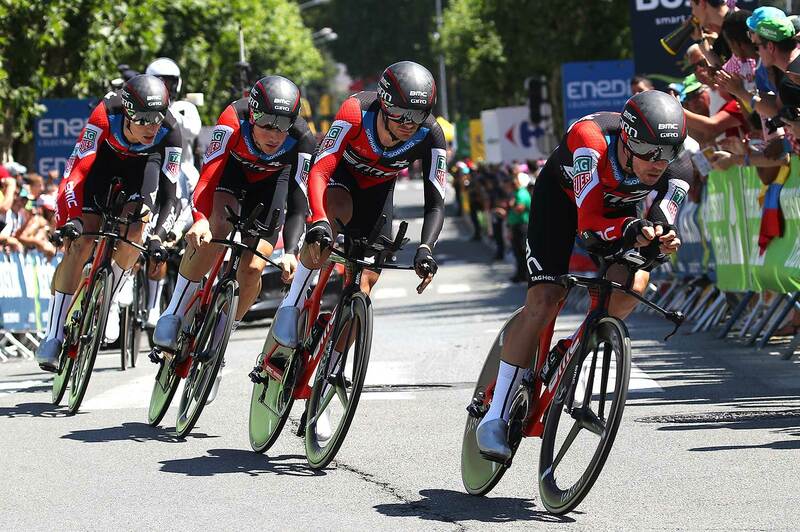 The win will help GC favorite Richie Porte chip away at the deficit from a disastrous stage 1. 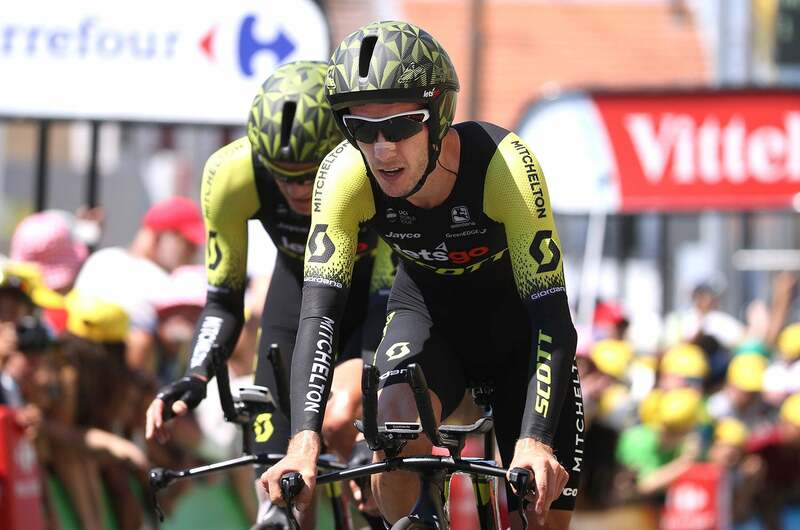 “It was a tough one but I think the team were fantastic today, the big strong guys did a really good job and perfect team time trial,” said Porte. 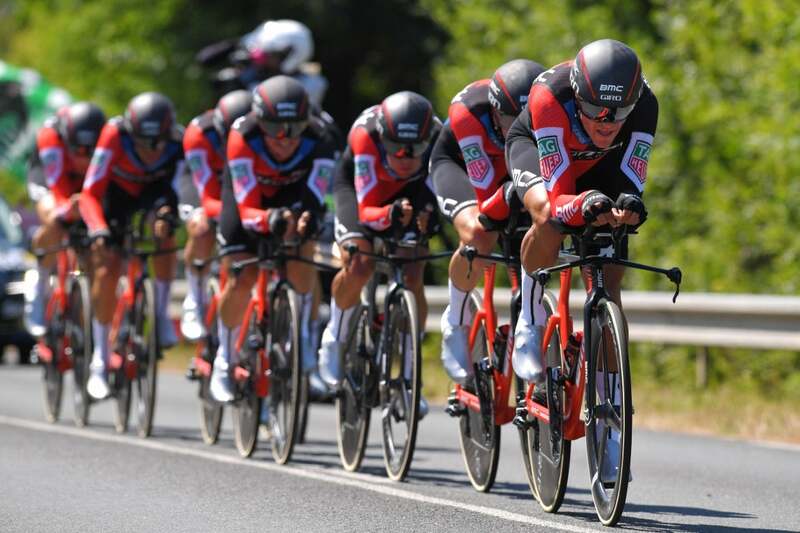 After BMC’s blistering time, only Sunweb and Quick-Step seemed equipped to challenge for the win. 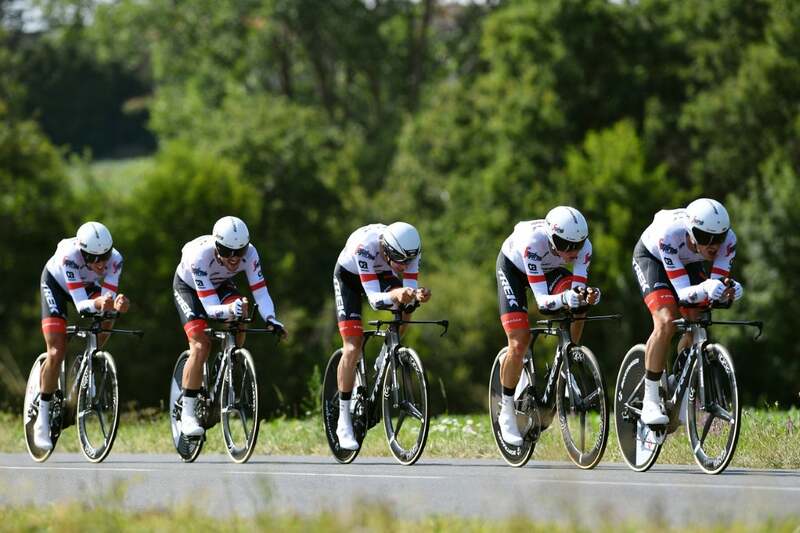 Tom Dumoulin’s Sunweb team rode consistent splits but was never closer than 10 seconds to BMC’s best time. The German team ended up 11 seconds down in fifth place. 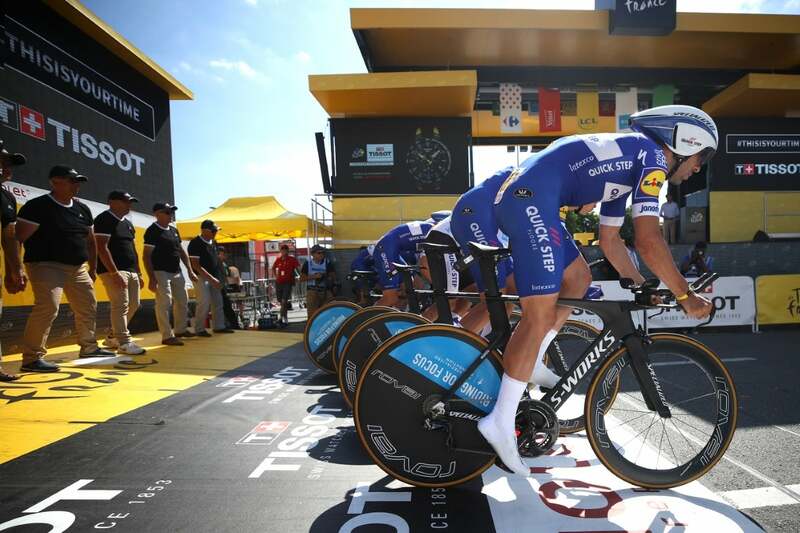 Quick-Step seemed a bit disorganized early in the race, dropping a few riders midway through the race, including stage 1 winner Fernando Gaviria. 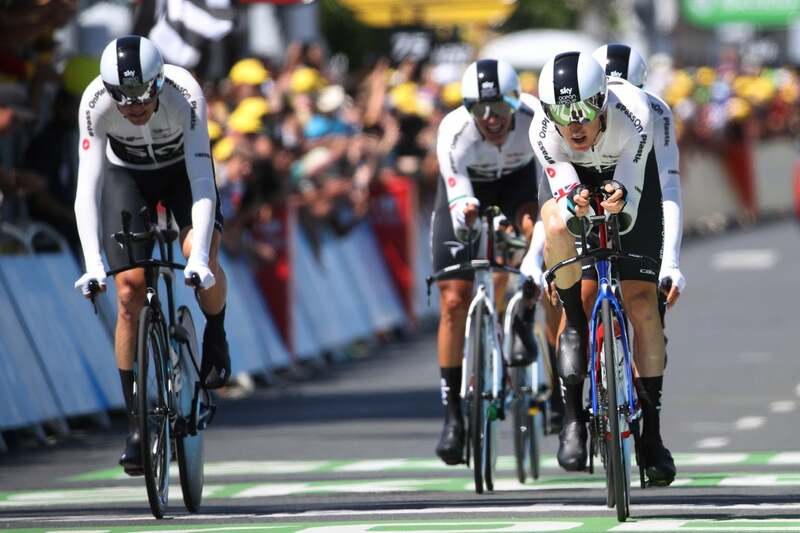 However, the Belgian team put it together to finish seven seconds behind BMC. 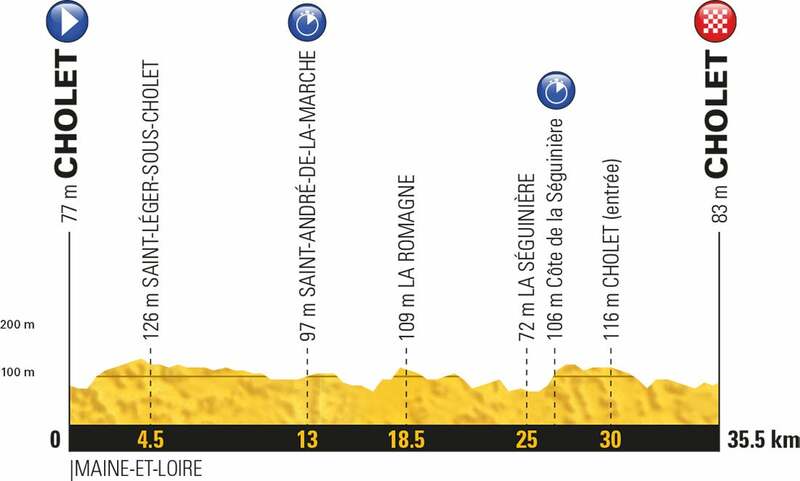 Stage 4 should be another day for the sprinters as the 195km run from La Baule to Sarzeau is predominantly flat.